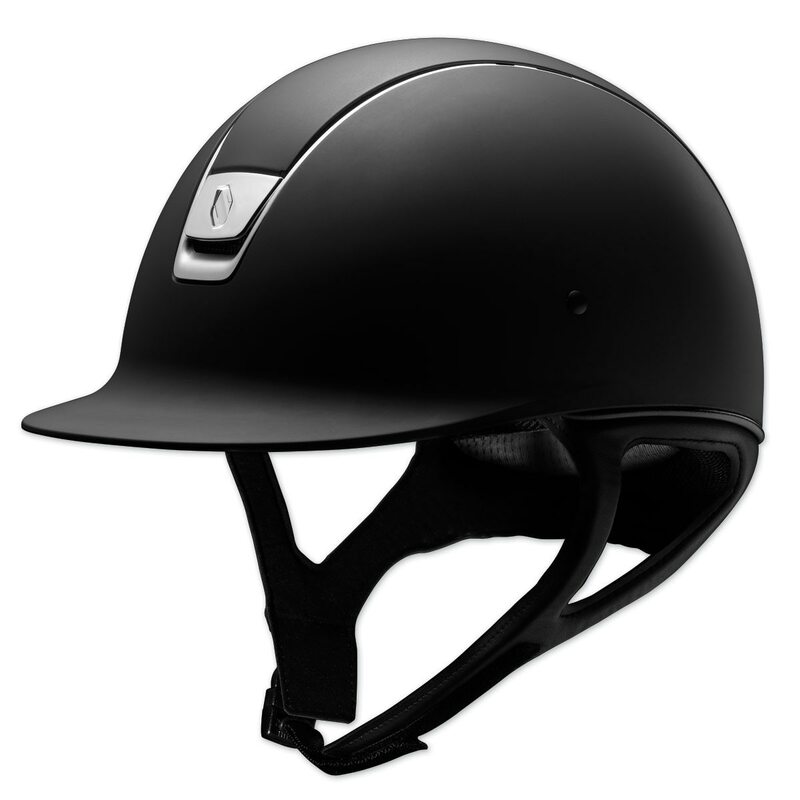 The Samshield Shadowmatt Helmet is a mix between the rider's needs, the designer's creative energy, and the engineer's technical vision. 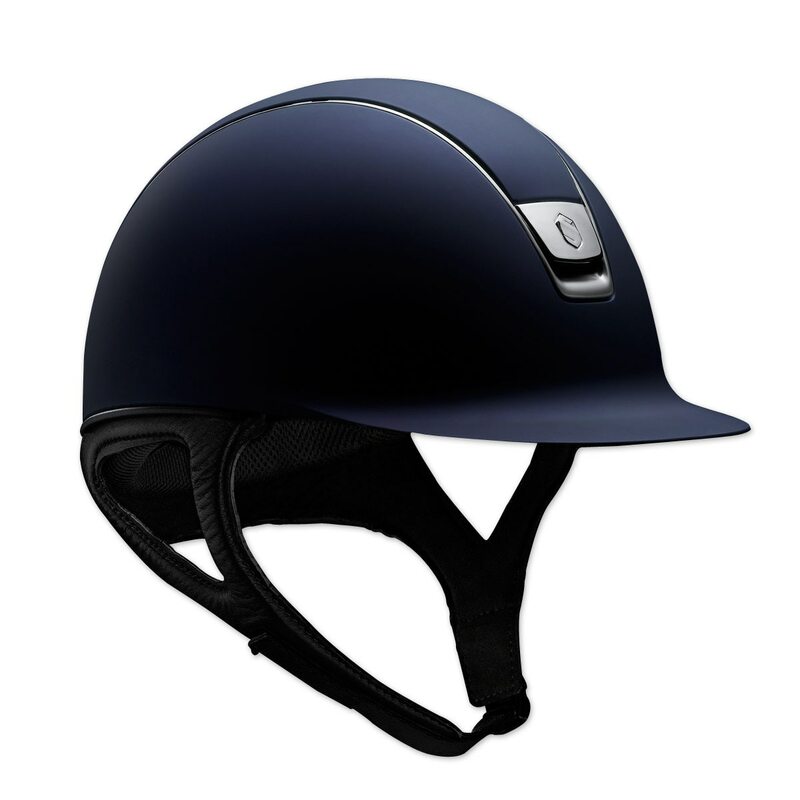 This helmet has a polycarbonate outer shell that’s durable, lightweight, and treated with an anti-scratch matte finish that looks stylish, modern, and keeps it show ring ready at all times. The inner shell is made of polystyrene with variable density which provides a better dissipation of the energy produced upon impact. Another safety feature is the semi-rigid chin strap and harness that reduce the risk of the helmet tipping forward during a fall. The internal comfort foam will mold to the unique shape of your head and never lose its shape, for a superior fit and level of comfort. It’s also removable and washable so you can say goodbye to stale and stinky helmets. 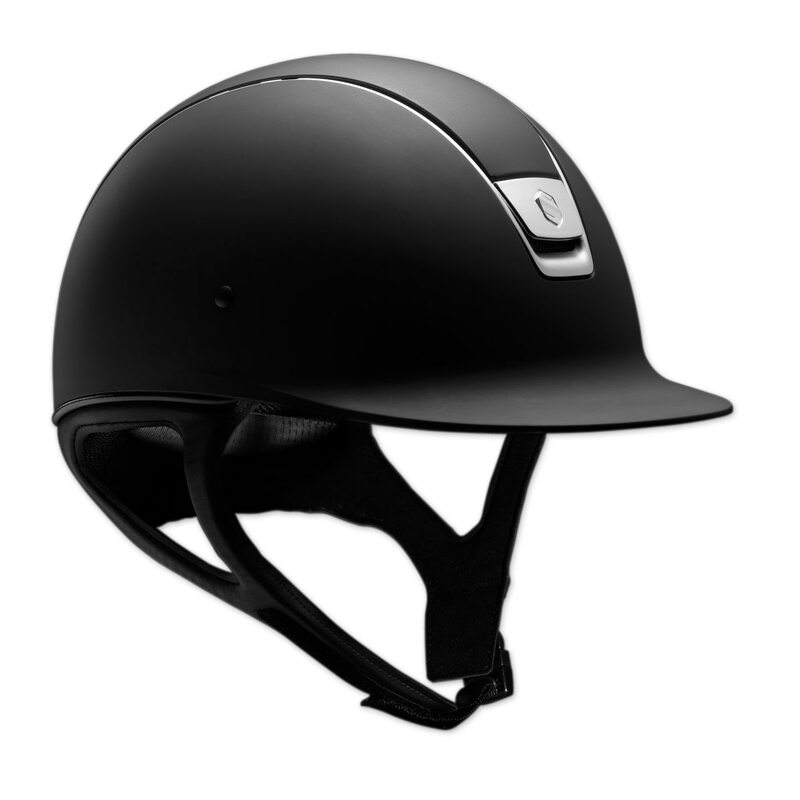 Additionally, Samshield ensures maximum airflow through hidden vents that retains the elegance of the helmet without sacrificing breathability. Last but not least, this helmet is ASTM/SEI F1163-15 certified for your safety and peace of mind. Samshield Shadowmatt Helmet is rated 4.6 out of 5 by 113. Rated 5 out of 5 by DazeyMae from It fits!! Love this helmet & this is the second one I've gotten. It fits properly & I have a hard head to fit, & its comfortable & it stays put! Rated 5 out of 5 by Dawnmd74 from I felt a breeze on my forehead!!! After much urging from my trainer and barn friends who swear by his helmet, I gave up my comfy and ratty favorite “other brand” helmet. The chin strap took some getting used to as it sits more forward under your chin but the money in this helmet is the ventilation! When the wind blows at you, you can feel it inside your helmet! Weirdest but coolest phenomenon ever! That’s my favorite part! Rated 2 out of 5 by Jumperoreo from Didn't like the fit This is a very nice looking helmet. However, while wearing it around the house to see if i liked it, the top of my head began to hurt. Looking inside there was very little cushion. Unfortunately i had to return it. Rated 3 out of 5 by Lara from Junky for the Price For the price, this helmet should hold up much better than it does. I have had mine for just over a year, and even though I have taken extremely good care of it, keeping it under a cover, and in a bag in my tack box when not in use, the leather trim around the base has peeled off in places and the chrome paint has chipped off the plastic vents in the back. It looks tacky. I've got a Charles Owen that cost half as much and it has held up so much better. Samshields are a fad. Save your money and buy something else. Rated 3 out of 5 by kimberly from Doesn't fit my head! I really wanted a Samshield, but they just do not fit my head. They sit up high and wobble, no matter what I try to do about fixing the fit. Wound up returning this for a Charles Owen, which fits like a glove. Rated 5 out of 5 by alinaparikh from Perfect fit helmet that is comfortable! I bought this item about a month ago and I absolutely love it! 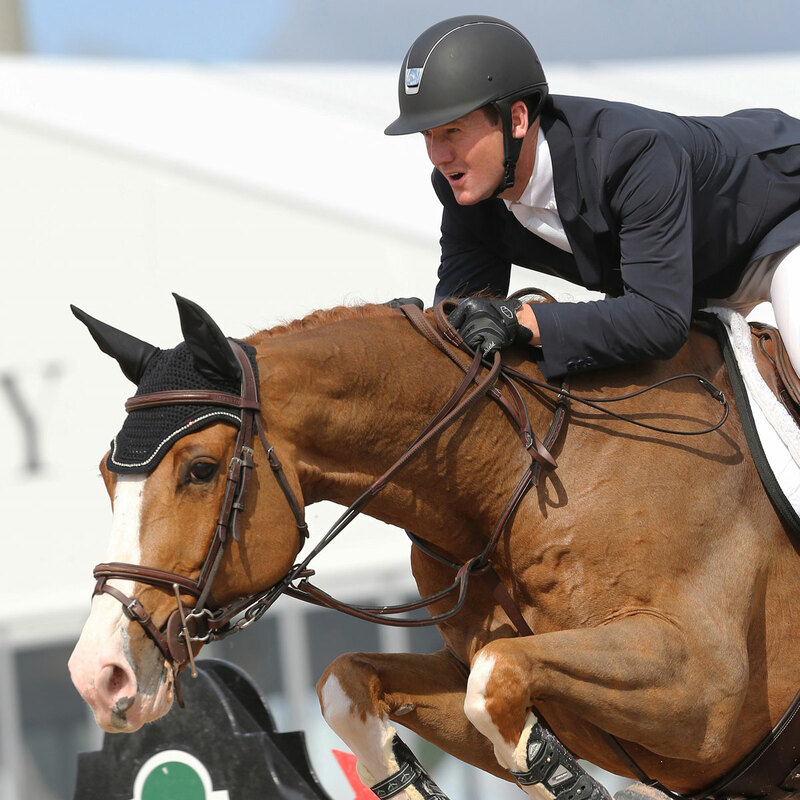 This is my new show helmet and it looks great at the hunter shows. It fits perfectly and is very comfortable. Rated 5 out of 5 by isabel from My absolute favorite helmet i've had! Looks absolutely stunning & extremely comfortable! Rated 5 out of 5 by Ali2012 from Great helmet I’m so happy I bought this helmet. The memory foam liner and interchangeable liner is the best feature a helmet could have! Rated 5 out of 5 by Haylo2385 from So comfortable! Bought this on sale on helmet awareness day. Most comfortable helmet I have ever owned! Lighter & better airflow than my old IRH, and absolutely no comparison to the stuffy, heavy CO Ayr8 I tried on. Totally worth the price to be comfortable and protected. Love that SmartPak does free returns on sized items… It allowed me to order and try on in home, since my local tack shop did not stock my size in any of the brands/models I was interested in.